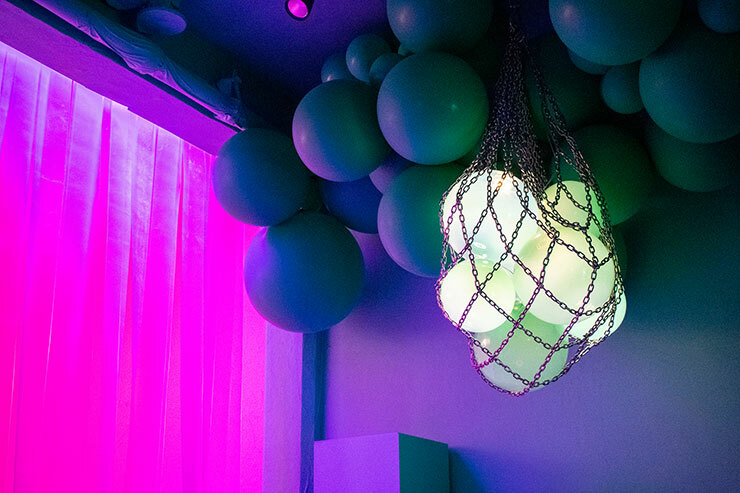 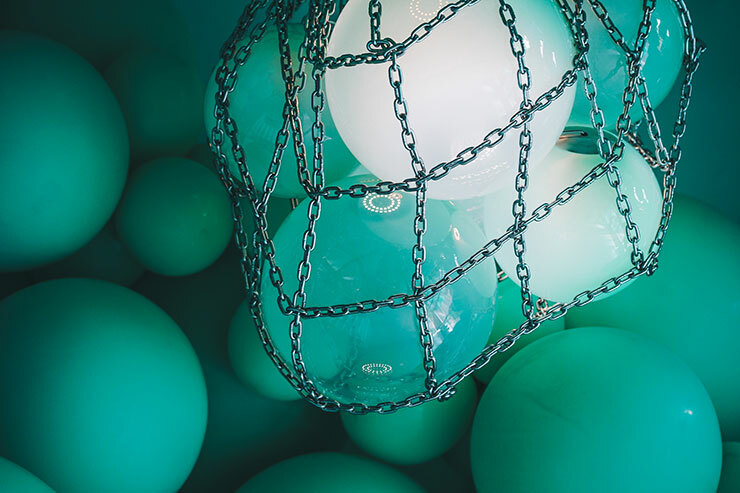 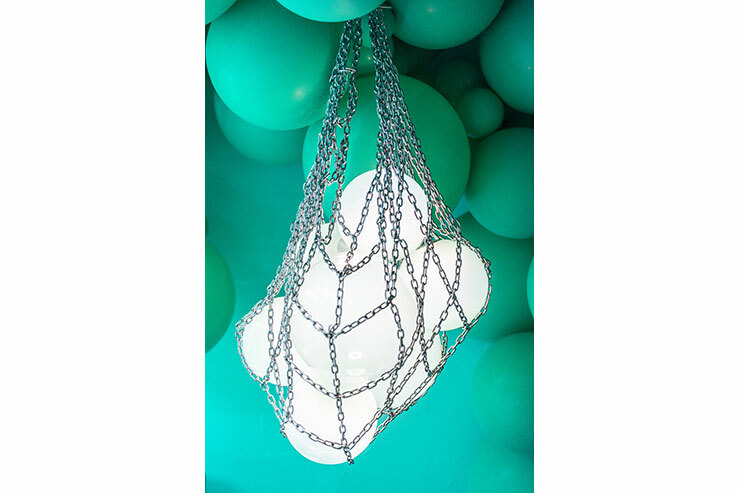 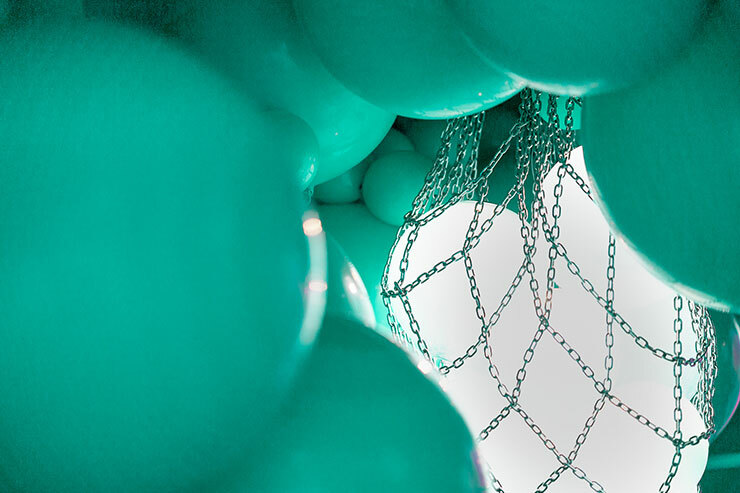 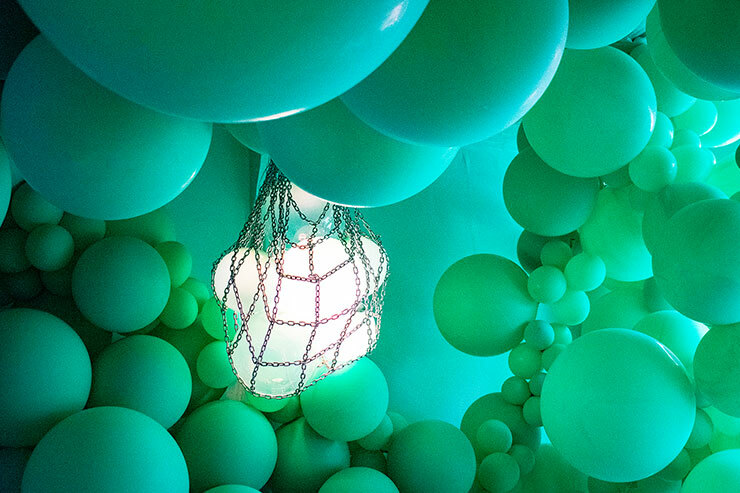 Cameron Design House teamed up with Los Angeles-based balloon artist Geronimo to create a unique, immersive light installation in the heart of Shoreditch, as part of London Design Festival 2018. 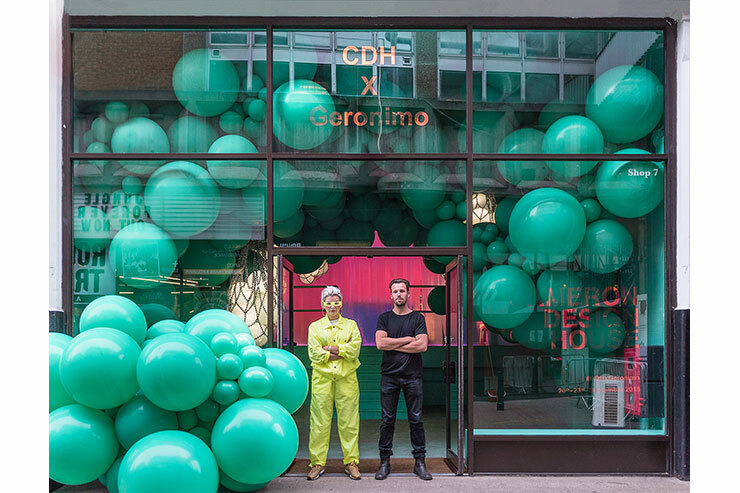 A match made in design heaven, the impressive installation brought together CDH’s signature aesthetic balancing contemporary lines and ambient lighting with the innovative artistry of Geronimo’s balloon sculptures, bursting with colourful character. 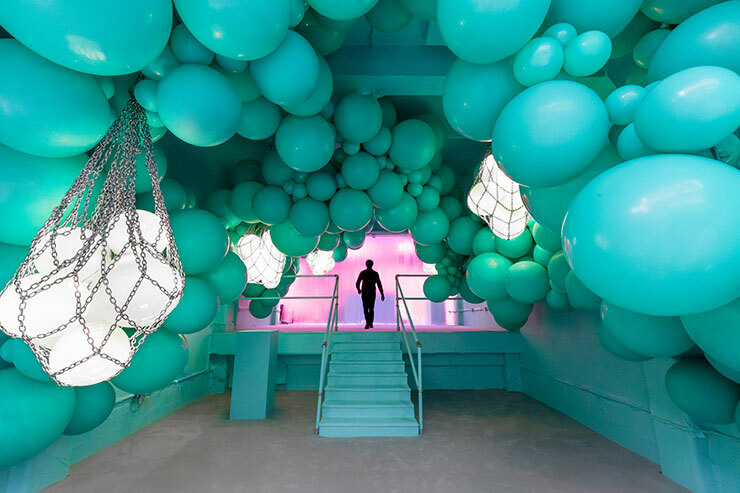 Exploring the contrasting themes of temporary versus timeless and organic versus engineered, the multi-sensory collaboration delivered an engaging visual experience on the relationship between light, latex and luxury. 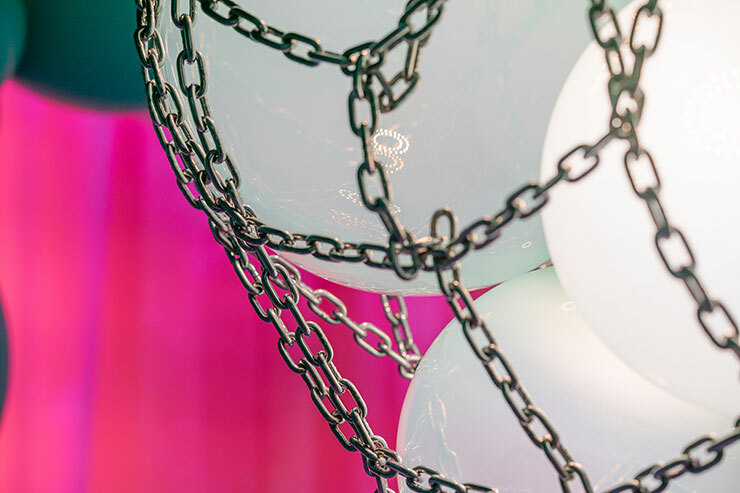 Over the four-day event, London and L.A. collided with CDH’s unique Helmi chandelier featured alongside Geronimo’s bespoke balloon sculpture for a single explosion of colour and creativity.